One of my recent cases involved a woman charged with criminal trespass. To make a long story short, she had been dating a man who lived at his mother’s house. Mom did not like her son dating my client. Eventually the two split up. My client received a Criminal Trespass Notice from police telling her not to go back to the property. After all was said and done, she went back to the mother’s house and got into an argument with her. The police later arrested her and charged her with Criminal Trespass, a Class B misdemeanor. A criminal trespass notice is usually given to someone as a first warning in situations like these. What is Criminal Trespass in Texas? Had notice to leave and failed to leave the land. A Class A Criminal Trespass in Texas happens when all of the 3 above are met AND the entry is into a person’s home. I’ve had a case before where my client was very intoxicated and walked into his neighbor’s unlocked door. The police were called, no one was injured, and he was arrested for going into their home. It was a scary situation for him and the homeowners to say the least. How is someone given “Notice” that the entry is forbidden? What is considered “Entry”? First, it can be something as simple as the owner telling you not to go onto the property. Second, a sign saying “No Trespassing” can be posted around the property showing the world that access is restricted. Third, Notice can also be fencing, walls, doors, etc… which indicate that the owner is trying to exclude others from access to the property. Entry under the criminal trespass law means your entire body. Simply putting your arm outstretched over the property line won’t do. Your entire body must be located on the property. 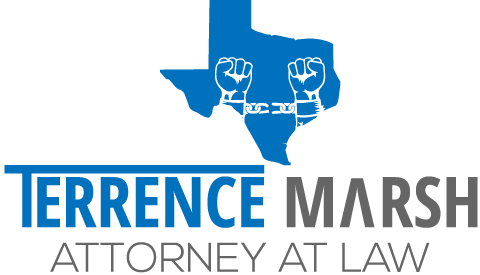 What are the Defenses to Criminal Trespass in Texas? One of the first defenses involves consent. If you received permission to be on the property from the owner, you can’t later be charged with criminal trespass. It’s important to remember though, that a property owner can revoke that consent at any time. Let’s say you’re given written permission from an owner to fish on their land when you please. One day, the owner tells you you can’t fish there anymore. At that point, you should not go back on the property unless the owner gives you permission again. If the owner revokes consent, you will still have to leave the property. Going back to my example of my former intoxicated client walking into the neighbor’s house, some level of intent must be present when going onto a piece of property. If you were intending to go home, to your own property, and wound up on the neighbor’s property, then you did not have the intent to trespass. You cannot trespass on your own land. However, the neighbor’s land that my client had been found on, my client had believed it was his own. My client had been mistaken, although wrongfully, that he was on his own property.